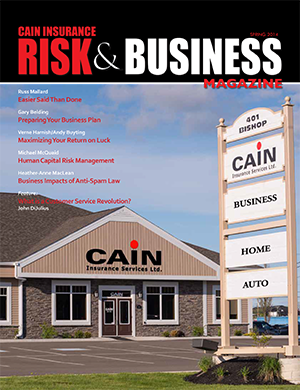 Cain Insurance services specializes in Commercial Business & Personal Insurance, for groups and individuals. 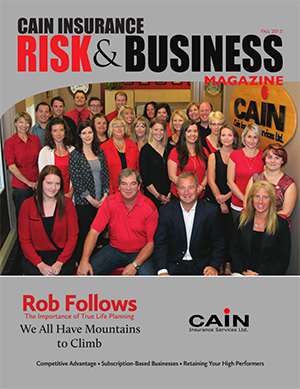 Our Commitment to you, our customer, is to provide the right coverage at the write price while delivering you exceptional levels of service. 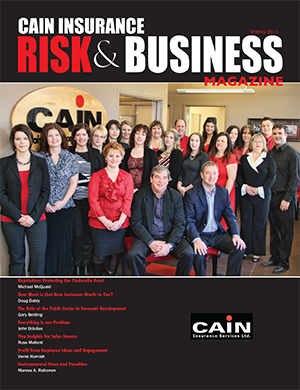 We invite you to contact any member of our experienced team to discuss your needs. 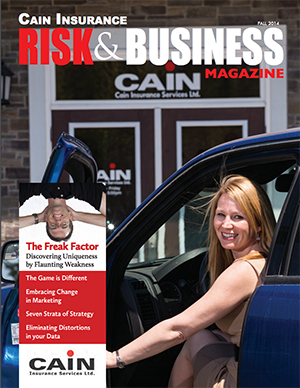 Let us help you take the risk out of risk management. 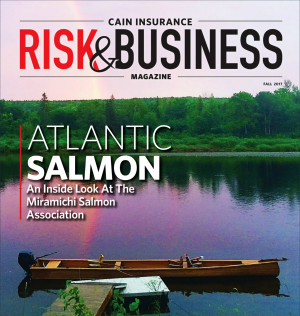 Cain Insurance has been helping individuals gain the "peace of mind" they seek when making their insurance purchases for more than three decades. 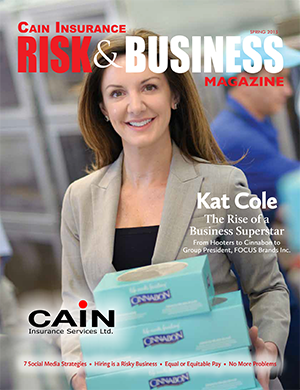 Our commercial insurance division has succeeded through a reputation built up over 30 years and a commitment to outstanding client services. 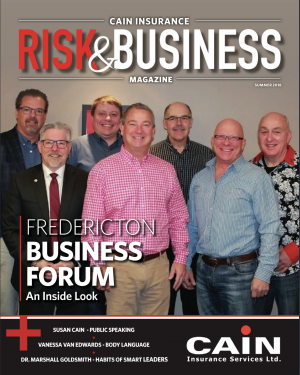 We realize that emergencies happen when you least expect them and there are times when contacting your broker can't wait until the next business day. 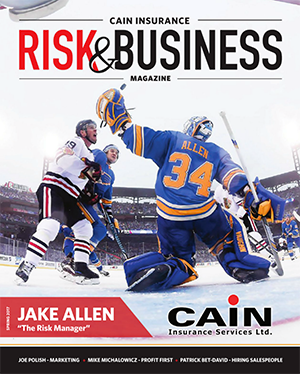 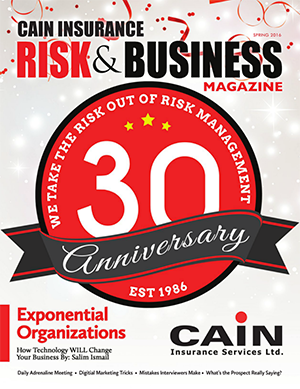 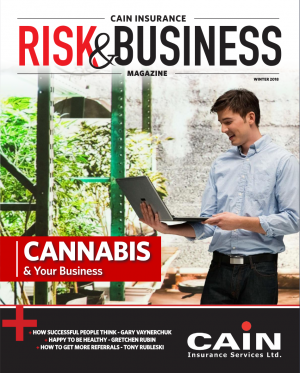 Keep up to date with what is happening at Cain Insurance, and be sure to give our Cain Risk & Business magazine a look. 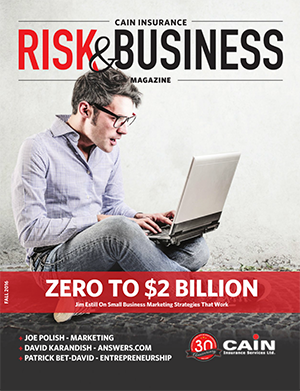 Read the Winter 2018 issue of Risk & Business now.